CHARLOTTE, N.C. (Feb. 7, 2019) – Hendrick Automotive Group has relocated BMW of Murrieta to a new facility at 41430 Auto Mall Parkway. At nearly 70,000 square feet, it is BMW’s most advanced dealership to date with myriad customer amenities and state-of-the art technology. Hendrick Automotive Group, one of the largest automotive retail organizations in the United States, currently operates eight BMW franchises in five states, which includes two in California. Based in Charlotte, North Carolina, the company has 130 total franchises nationally and nine in California. BMW of Murrieta features 325 new and 130 pre-owned vehicles on site with access to more than 30,000 new and pre-owned vehicles at HendrickCars.com. The 66,900-square-foot facility sits on 8.11 acres and offers 36 total service bays. The dealership provides numerous customer amenities including free Wi-Fi, refreshments, a coffee bar, service loaner vehicles and a complimentary shuttle service to area businesses, dining and attractions. Open seven days a week for sales, service and parts, BMW of Murrieta employs 126 people. For information on employment opportunities, please visit HendrickCareers.com. The dealership currently is hiring service technicians. BMW of Murrieta was previously located at 26825 Auto Mall Parkway. 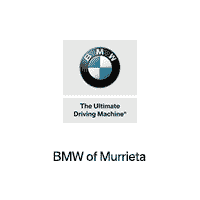 For more information about the dealership, please visit https://www.bmwofmurrieta.com/. Encompassing 95 dealerships from the Carolinas to California, Hendrick Automotive Group is one of the largest privately held automotive retail organizations in the United States. Headquartered in Charlotte, North Carolina, the company employs more than 10,000 people in its dealerships, collision centers and accessories distributor installers in 14 states. For more information, please visit www.HendrickAuto.com.